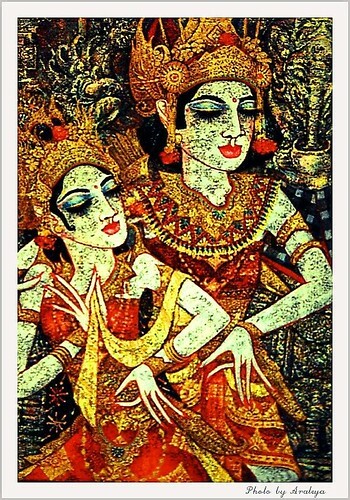 Bali Dance in Painting, originally uploaded by Araleya. Bali Dance is very impressive for me for the unique style. I love the beauty of costumes, the powerful movement and the beauty. I saw many dance performances there. Bali art is also typical and unquies too though influences from begining by Euorpean artist but the art develop into Bali own style..